Yard work and gardening can be a great way to enjoy the outdoors, get physical activity, beautify your land, and grow nutritious fruits and vegetables. Sometimes you need to purchase and apply pesticides to control weeds and insects that threaten the health of your yard, garden, or home. 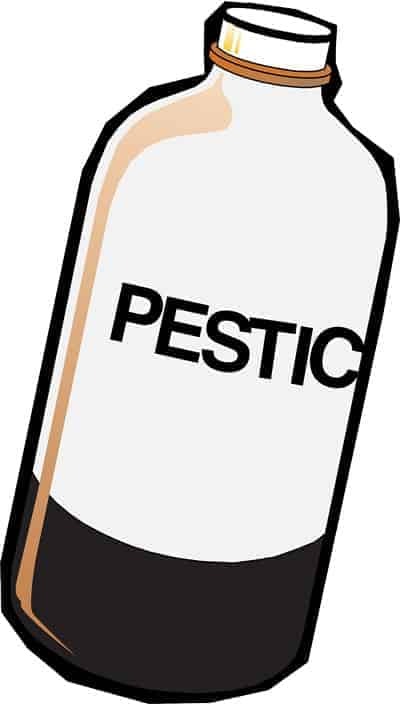 Pesticides can be an added tool for the control of weeds and bugs, but by their nature, pesticides may be toxic. It is important to select the appropriate product and use that product according to the label directions to help minimize the risk of a possible poisoning. To reduce risk, choose pesticide products with low toxicity by looking for the “signal word” CAUTION. Products labeled “CAUTION” are low in toxicity. Products labeled “WARNING” are moderately toxic. Products labeled “DANGER” are highly toxic. The word “POISON” must also be included on the front panel of the products in the highly toxic category. These pesticides should be used with extreme care because they may cause injury to your skin or eyes. Additionally, they may cause a more serious reaction if eaten, inhaled, or absorbed through the skin. Make sure kids and pets are out of the area before mixing and applying pesticides. Be sure to wear clothing that will protect you when using pesticides. Consider wearing a long sleeve shirt, long pants, and closed-toe shoes. Mix pesticides outdoors or in well-ventilated areas. Mix only what you need today to avoid storing or disposing of excess pesticide. Be prepared for a pesticide spill. Have paper towels, sawdust or kitty litter, garbage bags, and non-absorbent gloves on hand to contain the spill. Avoid using excessive amounts of water, as this may increase the volume and spread the pesticide. Remove personal items, such as toys, clothing, or tools from the spray area to avoid contamination. When spraying pesticides indoors, make sure the area is well ventilated. When applying pesticides as a spray or dust outside, avoid windy conditions and close the doorsand windows to your homes. After using pesticides, wash your hands with soap and water. Have the Poison Help line, 1-800-222-1222 available in case you have additional questions.